British Columbia, in all its splendour, is such a thrill to explore. There’s not much that can make me appreciate this province more than a mossy forest walk through towering Douglas Firs or a paddle around a cove, rolling over waves and water so clear I can spot the sea kelp stretching to reach surface sunbeams. We constantly find new ways to experience BC’s natural beauty and that’s where tours like those offered from Wildcoast Adventures come in. 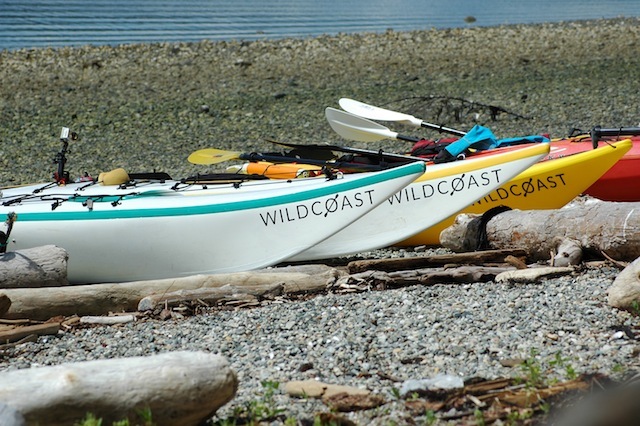 Wildcoast Adventures offers a variety of kayaking tours including Discovery Islands and Desolation Sound. This summer, I have partnered with them to offer up an exclusive giveaway for one lucky Miss604 reader. This vacation begins and ends with accommodation at Gowlland Harbour Boutique Resort on Quadra Island and includes a 4 day and 3 night remote camping and kayaking experience to see Killer Whales in Johnstone Strait. You will begin your vacation on peaceful Quadra Island where the spectacular beauty of the resort’s waterfront location encourages visitors to reconnect with nature. Spending your first 2 days at the resort will give you time to enjoy the outdoor hot tub and outdoor activities like hiking or paddleboarding. On day 3, you will take a water taxi to Wildcoast’s remote Orca Camp where you will spend 4 days camping, eating delicious meals and kayaking while watching for whales whom often feed in the kelp beds just off the Orca Camp beach. Camp activities include native-style sauna, hikes and swimming. 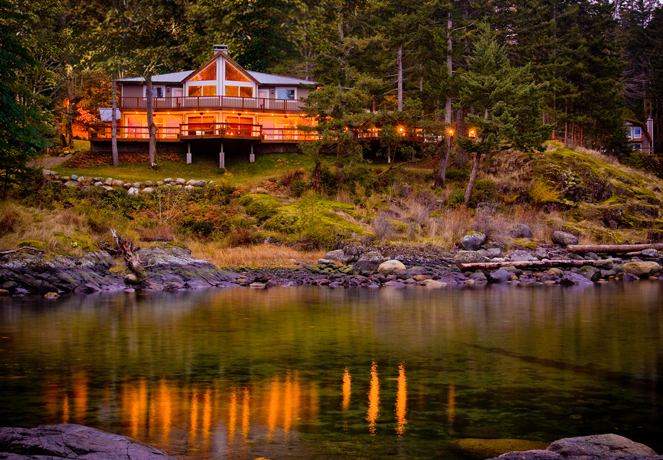 Upon return to Quadra Island you will enjoy your final night at Gowlland Harbour before heading back home relaxed and inspired by the nature and wildlife encountered on the trip. Contest is for one person and does not include accommodation to and from Quadra Island, BC. Valid for 7 Day Package Tour departing August 22nd, 2013 only, no other dates available. Valid for the 2013 season, no cash value. Prize awarded as is. No kayaking experience necessary. Follow Wildcoast Adventures on Facebook and Twitter to learn more about their tours. Must be 19+ to enter. I will draw one winner at random from all entries at 12:00pm on Tuesday, July 23, 2013. The prize is for one person only. Update The winner is Barb! Elaine! This would be an amazing trip!!! sounds AMAZING! would love to do this trip! This sounds awesome. Love to win. Incredible trip- would love to take part in one of their paddles. Excellent contest, I would love to go! I need a vacation. PICK ME! OMG…what a beautiful place!this would be a nice vacation. This sounds like an incredible experience! This is such an amazing place and what an experience it will be for whomever goes on this tour. It might even be me. I have always wanted to go on a kyalimg trip and this one seems completely geared to me. Amazing! This sounds amazing! I would love to go. Wow, what a cool trip! Quadra Island and kayaking? put me down as YES! Looks like an amazing experience. One you’d never forget that’s for sure! This trip would be perfect for our anniversary!! What a great trip, I’d love to go! This trip would be fantastic! Gowlland Harbour has wonderful meals and kayaking with orcas in Robson Bight sounds like a “must do!” Go WildCoast! What an awesome way to experience our Super, Natural British Columbia! This looks amazing! I would love this! I would love to go on one of these trips! Awesome trip! Fantastic guides, delicious food and an experience never to be forgotten. Would go back in a heartbeat! I would so love to do this. That looks like an amazing experience! This would be a great trip to take for our 2nd wedding anniversary! This has been on my bucket list for forever!! This is my dream vacation! Sounds like a West Coast dream come true! This sounds like an incredible opportunity! Thanks for running such an unique contest. I can’t think of a better way to recover from an intense week of business travel. Bring on the great outdoors! I rarely enter contests but this is quite a prize. What an amazing experience with lasting memories. My dream trip, fer sure! Really hope I can win this fantastic package. Thanks for offering this incredible getaway, Miss604. This looks amazing, sign me up! AWESOME!! This would be so fun!! Holy cow, this looks incredible! Wow! This would be truly incredible! that looks amazing. would love to go. Hope to win this sweet getaway! Looking forward to this getaway. this would be a DREAM COME TRUE…. !!!! This is truly an amazing trip! Totally on my bucket list! This wouldn’t just be a bucket list check, it would be a dream come true. Orcas are Spirits of the #WestCoast. This would be a dream come true trip. That would be a really great adventure! This would be an amazing getaway. Who wouldn’t want to win it? I want to!! We need a vacation! This would be FANTASTIC! How cool would this trip be!! Sounds like a little slice of heaven! It could not get any better then to win this trip. This would be heaven. Have wanted to take a tour like this for a long time! The resort is beautiful; I’d love to paddle here! This is definitely a bucket list trip! This sounds like an absolutely amazing adventure. I moved to Vancouver Island last October, and I’ve been dying to go on a kayaking excursion. This would be an absolute dream come true for me. I am visiting Beautiful BC, in august to see my Family,would love to win this trip. Wow, what an amazing opportunity! It’s the day after my 28th birthday. This is a dream vacation!!!! Sounds like a great trip!!! Yes, it would great to strike this off my Bucket List ! wow – this would honestly be a trip of a lifetime!! I could not even imagine winning this!!!! I would love to win this adventure. I would love to win a trip to a destination where I need to be water taxi-ed in! What an experience with nature! This would be the trip of a lifetime. Quadra, whales, kayaking. Does it get any better? My dream is to swim with Orca. This would be a warmer,safer dream ! Would love a westcoast wilderness adventure to relax and unwind! Sounds like a “bucket list” trip all right! Wow! To witness the beauty of BC’s nature and breathtaking scenery is a bucket list event FOR SURE!!! WOW!! Would be an incredible win for anyone!! Would love to go on this once in a lifetime experience! What an amazing getaway package! We love our Province!! And Miss604 giveaways! As a vet assistant and a nature enthusiast, to win this would be the real cat’s meow! SIgn me up, what a great trip! Would love to do this…crossing my fingers. Wow….what a great prize. I hope I win it for my wife!! This sounds like a dream trip!! I would love to take my girlfriend! Oh all the contests you have had, this beats them all out of the water by far. What a dream this would be! It sums up why I moved to BC. Crossing fingers and toes to win this! Amazing adventure. Love your contests, they are always off the beaten track! Wow! What an incredible way to see a whole other side of our beautiful province!! I hope I win!!! This would be an amazing getaway! Oh my god! I love whale watching! This sounds amazing!!!! This would be a trip of a lifetime! This would be a wonderful birthday present! This trip sounds amazing! I’d love to go. Whales + West Coast = happiness!!!!! Kayaking is on my just-returned-to-BC-after-two-years-overseas Bucket List. Would be grand to do it in such style! Wow, so much fun! I would love to win this!! This would be a great way to top off a summer! Make it one to remember. This would be so amazing! I love kayaking! only 1 word – AWESOME! Fingers crossed! this looks amazing!! This represents the epitome of exploring your own backyard, BC is such a stunner. This would be so perfect for some much needed R&R thanks for the opportunity. I’ve never done anything like this! WoW! This would be an awesome trip for our 5 wedding anniversary! This sounds absolutely incredible! Good luck to everyone who entered. What a prize! Sounds like a trip of a lifetime! Wow! WOW, this sounds amazing – trip of a lifetime! This sounds amazing. I’ve always wanted to do a kayaking trip. cross fingers! This sounds like a fantastic trip! My husband and I would love to win this! What an amazing trip. This sounds like pure serenity. Up and close and personal with the Orca sounds like an adventure. My husband and I spent our honeymoon on Quadra five years ago this August, would love to win this as a fifth anniversary surprise! This would be such an amazing getaway! 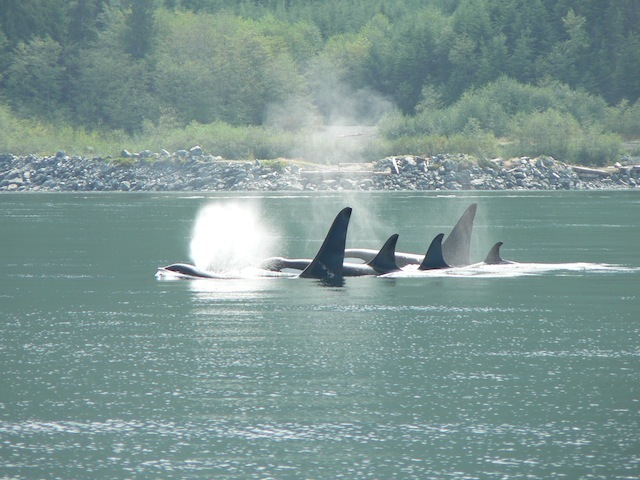 Would love to kayak and enjoy the splendour of the wilds and be awed by the Orcas! Wonderful opportunity. Someone has to win. Might as well be me. Kayaking and whales – my two favourite things. I would love to take this trip! Sounds amazing. I would love to win.